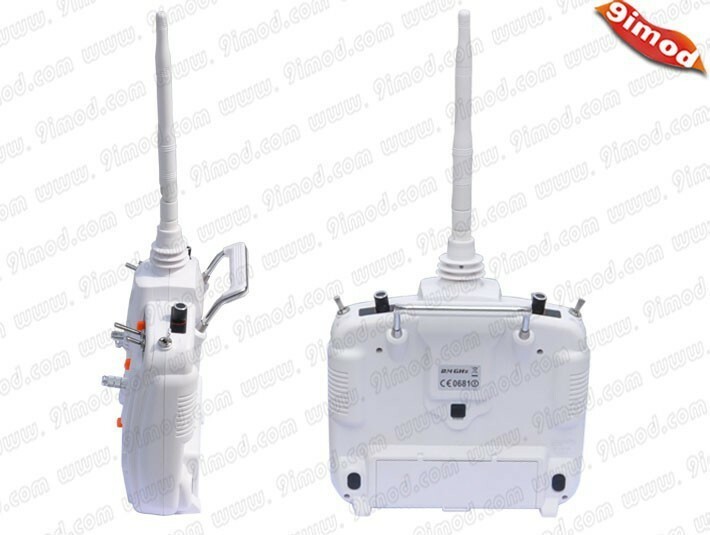 1.The DEVO-10 adopts 2.4GHz Direct Sequence Spectrum(DSSS) technology and features automatic ID binding and ID assignment.It can also be customizedly set as fixed ID code. 2.USB online update makes you always enjoy the lates programme. 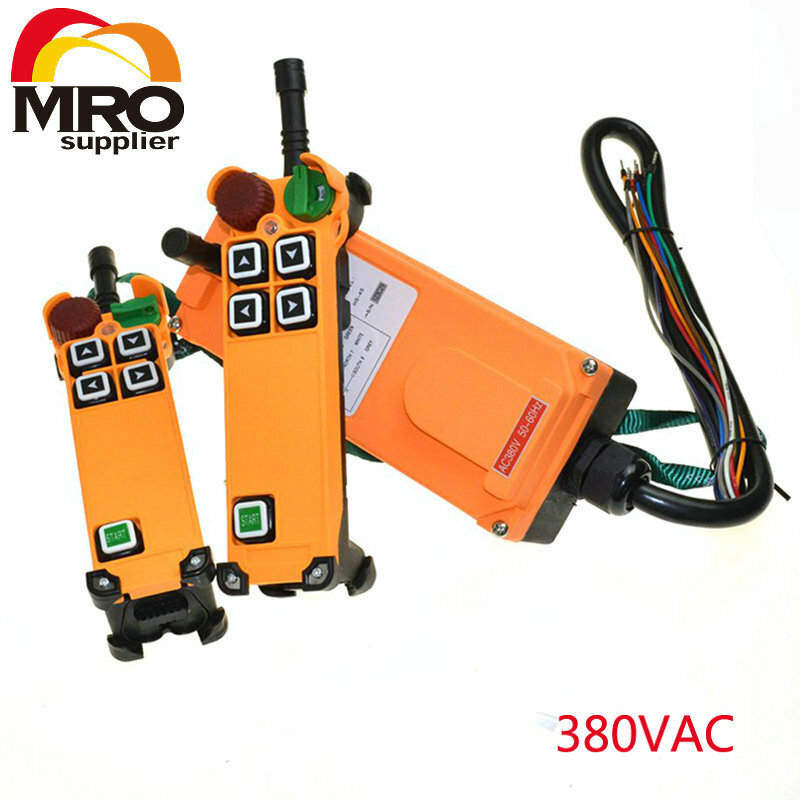 3.Adjustability of hi-frequency output power enjoys more personality and friendly environment. 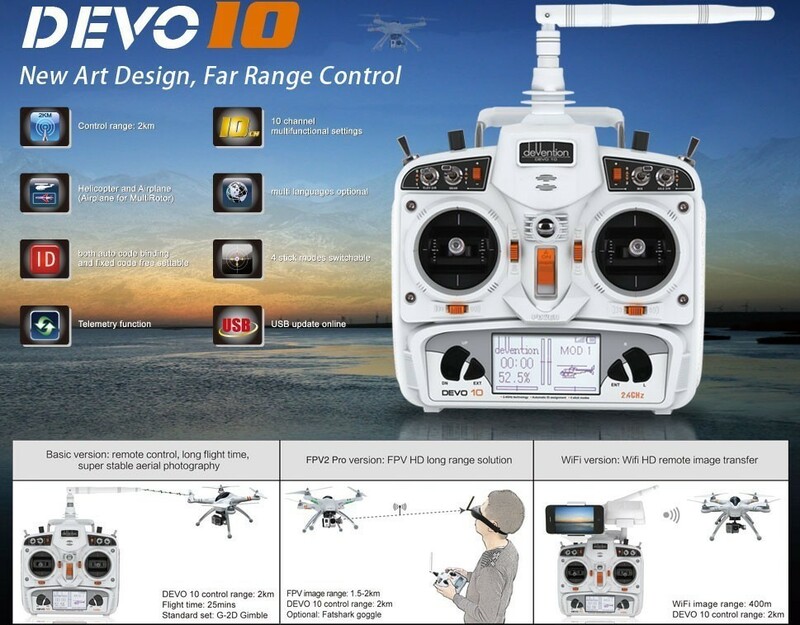 6.DEVO-10 adjusting the gyro sensitivity makes hovering flight and fancy flight in an easy way. 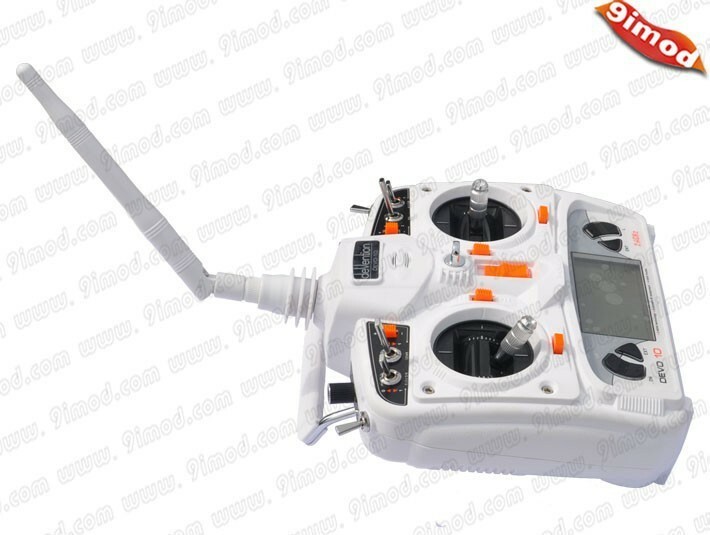 8.Both the length and tension of the sticks can be adjustable. 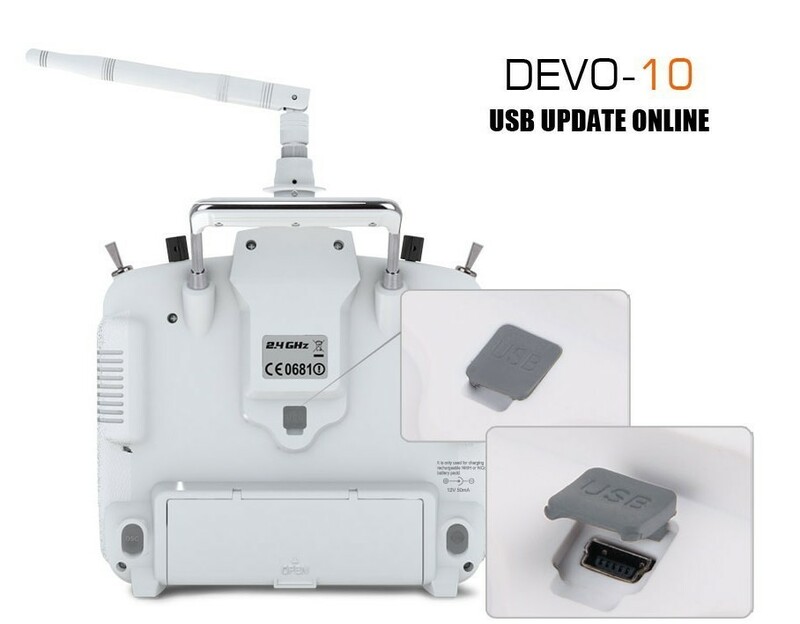 10.DEVO-10 is suitable for helicopter and airplane,In the helicopter mode there are three flight modes ,each of which can be freely set and it\'s parameters can be personalizedly adjusted to meet the requirement for F3C or 3D aerobatic flight.